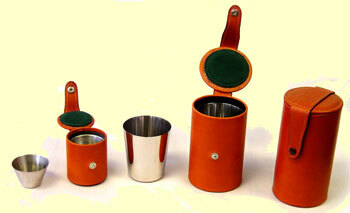 Shot Flask, 4 Cup 10 oz. 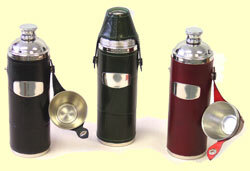 Hip Flask - Approx. 6 oz. 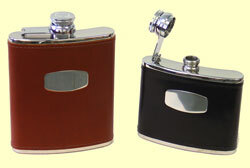 Leather Covered Hip Flasks with captive lids.